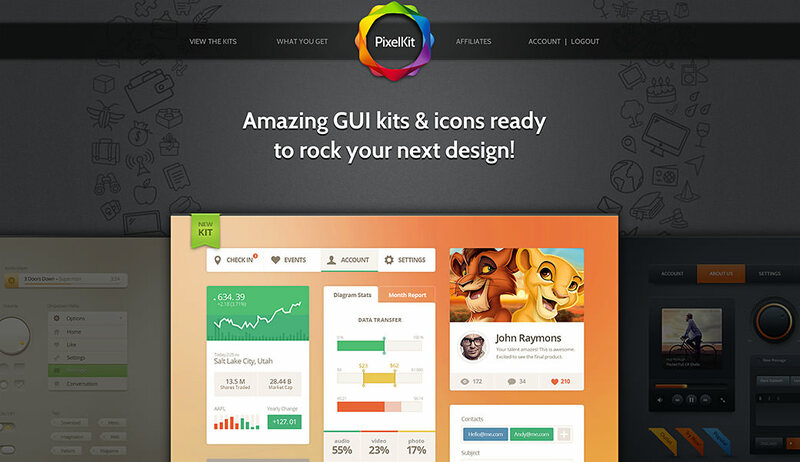 Hi, just checked the pixelkit giveaway in Facebook and also got to know about pixelkit, they really have a bunch of cool designs which makes my web development job easy. Hope to get my subscription. No idea about how to use it for now but love them! Thanks very much. This thing rockes. We would like to win the giveaway. I’d like to enter the draw. We will be using them in our app design. Thanks for the giveaway. I’d love to use some of these in an upcoming app project!! I would to use it to develop wordpress theme. As a web dev and web designer, I could use them for customer side interface for my business, and emulate elements of it for my clients as well. As I’m looking into HTML 5 Apps that run cross platform, this could immensely help me build rich and engaging user menus. Thanks for hosting the contest, my best regards to everyone participating and involved. Cheers!